What's this? A Saturday afternoon post? 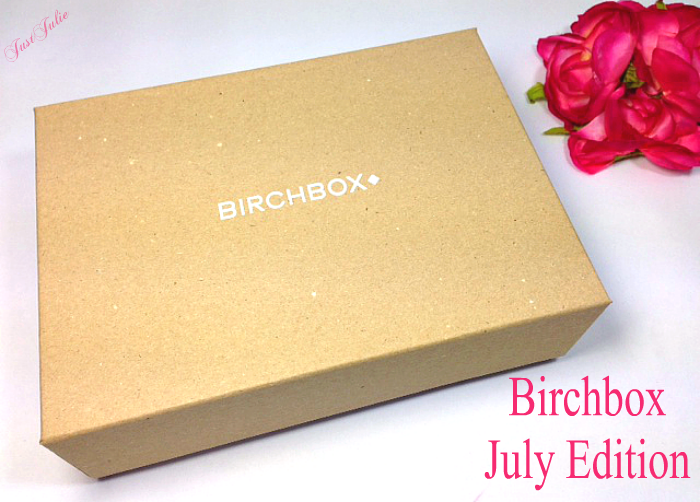 I know, I'm spoiling you all with so many posts in one week BUT I had to write a post on the July Birchbox that came flying through my door.. plus I already have a LOT of posts scheduled for next week, so I thought I'd treat you with another extra post! 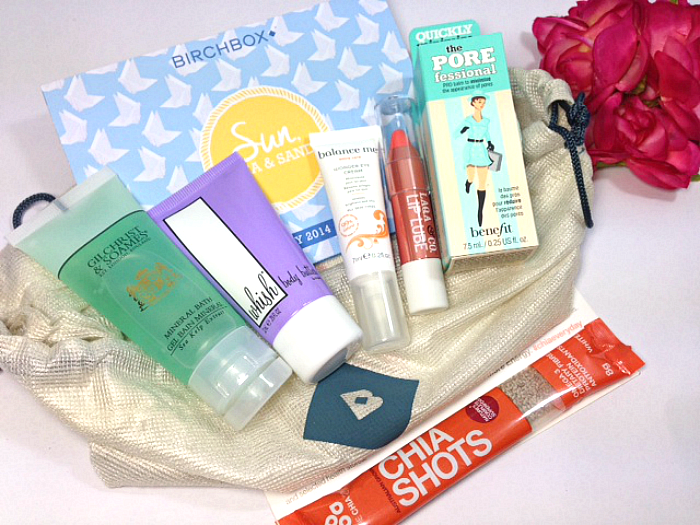 This is my first Birchbox post. After already being subscribed to two other beauty boxes I decided why not sign up for another one? My decision was firmly made after seeing the gorgeous products that Sian Marie Beauty received in last months Birchbox, plus as she had a referral link we both received £5 worth of points to spend in the Birchbox shop, I'm not one to turn down either a offer or points! Now what goodies did I get this month? Laqa & co. Sheer Lip Lube Pencil in Bees Knees: I love the lip pencilcrayons that are taking over every cosmetic brand known to man, so I was thrilled to see this in my box. 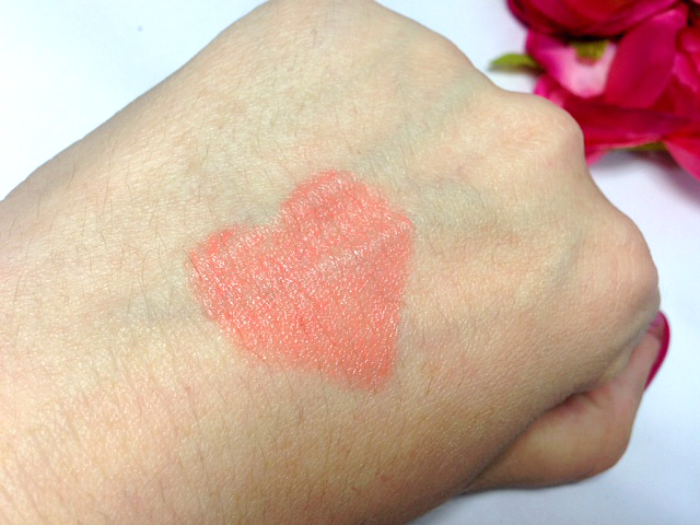 The colour is a gorgeous coral, which is ideal for the summer time, so I can see myself using this a lot on days when I want just a pop of colour. 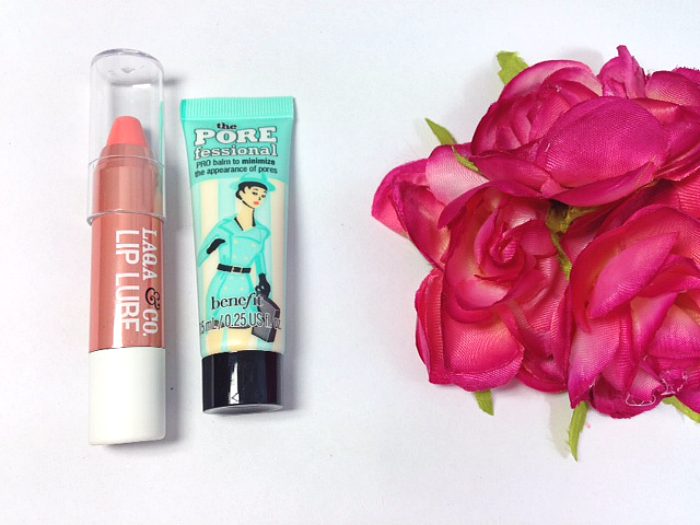 Benefit, POREfessional: I'm literally buzzing that this was in my box. I already use POREfessional, and have been using this more since the UK has been experiencing a mini heatwave. I am actually nearly out of my full sized POREfessional, so having this luxury sized sample (7.5ml) has saved me some pennies next month! Whish. Lavender Body Butter: I LAUGHED out LOUD to the description of this inside the box "Not your granny's Lavender" and actually they are right. It's not the old fashioned lavender scent, it's a lot sweeter, which is what I like. I already own a ton of body lotions so I may end up just using this as a handcream as it's the ideal size to pop in my bag. Balance Me, Wonder Eye Cream: Birchbox must have known that I'm currently trialling out different eyecreams! 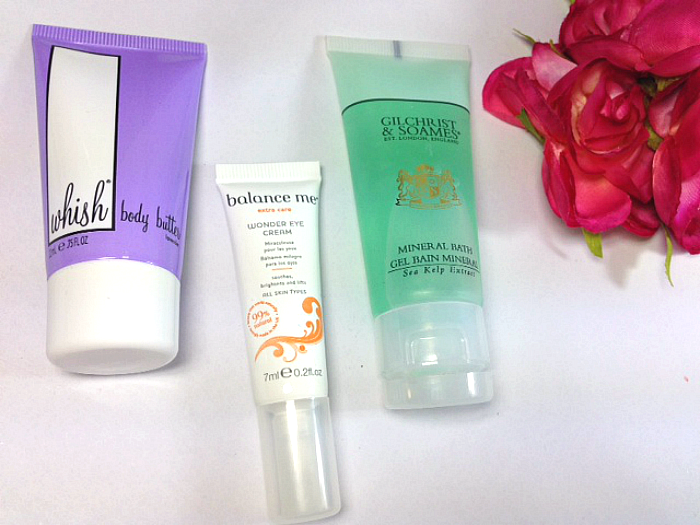 I love Balance Me products, as they are full of natural ingredients and feel very luxurious. I've actually been eyeing this eye cream up for awhile as this is meant to brighten up the eye area, which I'm in desperate need of and help keep those wrinkles at bay, which yes, I'd like to turn back time, so I'm super excited to try this out! Gilchrist & Soames, English Spa Sea Kelp Extract Mineral Bath: I have never heard of this brand before, but that's one of the reasons why I love beauty boxes so much, you get to try out brands you probably would never have come across before. I thought this was a shower gel at first, but after reading the description it turns out that you pour this into your bath, whilst it's running and then lay back and enjoy a luxurious bath... sound's very relaxing, and something I'm in great need of, so will be using this tonight! 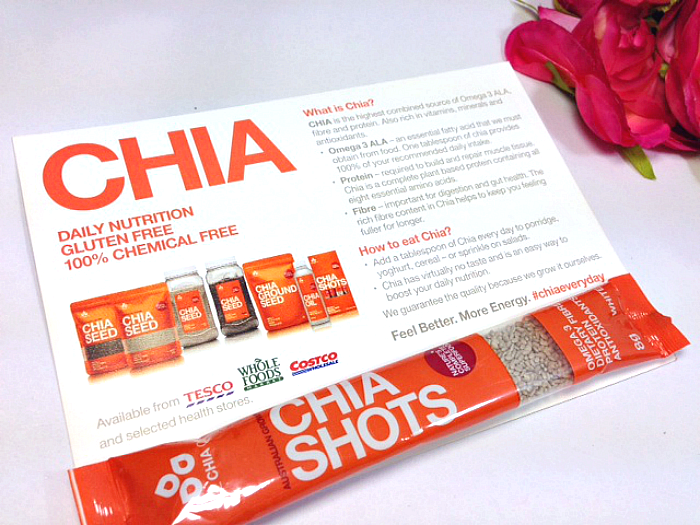 Chia Shots: This was a little extra that was inside my box. I had no idea what this was or did but it seems to be a source that you add to your porridge or cereal in the morning and this will help boost your fibre and protein intake. Not sure if I will use this, as I'm extremely fussy about things like this. I will though give this to my friend who is Coeliac, as this is gluten free. As a whole I really like this box, aside from the Chia Shots, and so far, two boxes in I'm loving Birchbox and will continue with my subscription for the foreseeable future. I mean paying £10 each month, plus P&P for all of this isn't to bad, and as you will already know (unless you're new here) I do love my beauty products!